Mexico is currently on the frontlines of the fight against cement kiln waste incineration. Hear from community campaigners on the significance of their struggle. Apaxco, State of Mexico, is a town of no more than 30 thousand inhabitants located about two hours away from the megacity of Mexico City. It is located in the Mezquital Valley, an area that is rich in thermal springs, it houses two watersheds and a huge variety of species of fauna and flora. But in Apaxco, inserted in the industrial corridor of Apaxco – Tula – Atotonilco, between the states of Mexico and Hidalgo, just a few birds are seen, and the shy vegetation is covered with a grey mantle. Apaxco and its surrounding municipalities are what academics have described as “sacrifice zones”, places where a high concentration of industries has caused such a level of pollution that reversing it seems impossible, and mitigation measures will never be sufficient. Cement plants, waste co-processing plants, thermoelectric plants, refineries, agro-chemical factories configure the landscape of these territories, where their communities do not bend down and keep demanding justice and clean air for all. One of the bloodiest struggles in the community in Apaxco started in 2009 when a camp was set up in front of the entry of Ecoltec, a subsidiary of the Holcim-Apasco cement company, in protest of the death of eleven peasants after breathing toxic gases inside a well that they cleaned, presumably contaminated by the company. After two years, the camp, which blocked the entry of trucks and material to be processed and sent to the cement plant, was evicted, without complying with any of the community’s requirements. After nine years, the local community continues with the struggle. This year, they hosted the Third International Meeting against Incineration that took place, between the days 24 and 26 of November in Apaxco, with an extensive agenda that included the participation of groups, organisations and networks of Mexico grouped at the Front of Communities Against Incineration (FCCI), as well as people and global organisations that are part of the Global Alliance for Incineration Alternatives (GAIA) and Zero Waste Europe. On this occasion, the meeting expanded its framework for incineration in general, as today add to existing threats, the proposal for the construction of municipal waste incinerators in Temascalapa (Incinerator of Tizayuca, State of Hidalgo, resisted by the Front of Pueblos de Temascalapa) and Mexico City. The Meeting allowed for the sharing of experiences, reviewing the current strategies and strengthening the urgent need to promote zero waste plans from the communities to deal with these threats, and concluded with a declaration. In 2011 the government of Mexico City signed an agreement with CEMEX to incinerate part of their waste in plants located in the states of Hidalgo and Puebla. In 2017 a further agreement was signed between the government of Morelos and Cementos Cruz Azul (CYNCA de Oriente), with the objective of incinerating waste from that state in the cement kilns. This year, the Ministry of the Environment and Natural Resources (SEMARNAT), granted a permit to the Holcim cement plant located in Apaxco, State of Mexico, to receive and process more than 127,000 tons of hazardous waste each year, to be later incinerated in the kilns. “These practices dramatically affect the health of the population and the environment, as has happened for decades in our community of Montcada,” said José Luis Conejeros, the Anti-Incineration Coordination of Catalonia, an organisation that was present at the meeting. “The community of Apaxco is a benchmark for the serious problems of pollution and at the same time the awareness that must emanate from the same affected communities on the urgency of creating zero waste solutions,” added Carlos Samayoa, coordinator of toxic areas for Greenpeace Mexico, who was also present at the Meeting. 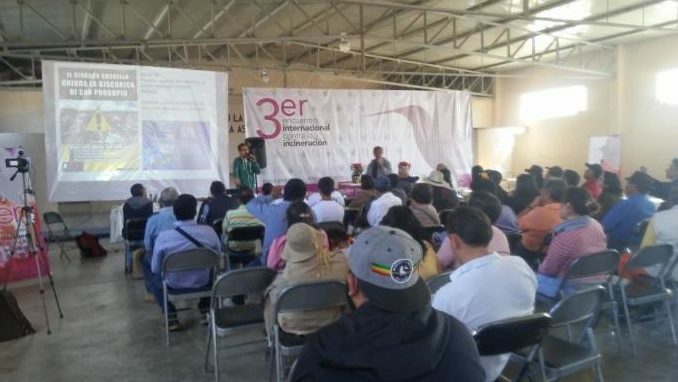 For these reasons, the Third International Meeting against Incineration began with a symbolic takeover at the Holcim plant in Apaxco. During the Gathering, various affected communities shared their experiences of work, monitoring and resisting cement plant incineration. International organisations from Montcada (Spain) and Barletta (Italy), shared their European experiences against the cement companies, emphasising the need to generate alternatives to the prevailing models of waste disposal. Apaxco and Atotonilco share a territory with severe problems derived from the concentration of incinerators and waste co-processing plants that surround them. They also share a history of community resistance. In Apaxco, meanwhile, the death of the aforementioned peasants aroused a strong concern in the community and the Pro-Health Movement Apaxco-Atotonilco was formed, “who have presented 900 complaints since its creation, the lack of satisfactory answers being a clear indicator of environmental injustice” says Marisa Jacott de Fronteras Comunes. Jacott adds that since 2000, the Federal Office for the Protection of the Environment Profepa has declared “concern” for possible health problems arising from industrial activities in the area, and adds that a sign of the irregular operation of these companies is that for long periods facilities such as Ecoltec (today Geocycles, belonging to Carlos Slim’s group) “do not even register the entry and exit of waste”. 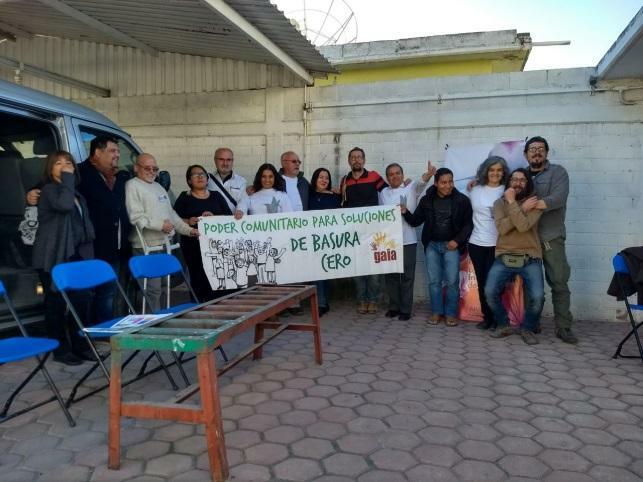 Ponciano Jiménez has been threatened and criminalised by the resistance that has led the community of Santiago de Anaya and his movement “Live and defend”. The fight started in 2011 with thorough monitoring of irregularities in the approvals of the projects that ended with the installation of Cementos Fortaleza, after the purchase of lands that were possible after convincing the peasants that an agroindustrial company would be installed to support the agriculture sector. The new cement plant was inaugurated in 2011, named Plant to Crusher and Material Processing Santa Anita. Elementia, a joint construction consortium between Slim (via Grupo Carso) and Antonio del Valle ( Grupo Mexichem), bought a stake in January 2013 that made it the owner of 100 percent of the operations. This is how ‘David against Goliath is set up: the cement plant of the Carso-Elementia Group against indigenous peoples of the State of Hidalgo, Mexico’, says Ponciano Jiménez. Moreover, the Carlos Slim group acquired Holcim and Lafarge in Mexico, so today it is a large conglomerate. “I feel indigenous and I demand respect for Convention 169, and we will defend our land through real awareness, with courage and pride, of being indigenous. The best lands and the best natural resources belong to the powerful, they were usurped with deceit and false promises and what is needed is to organise ourselves”, adds Jiménez. Temascalapa is a municipality of the State of Hidalgo, and faces a municipal waste incinerator project. Although the proposal is not within their State, is a street away “and we are aware that it will bring serious damage to the entire community,” said Armando Ramos. “With the support of GAIA and human rights defense groups, in a year we have investigated how to attack this type of projects, and we present a project to the municipality of Temascalapa for training and awareness of waste management under the philosophy of zero waste “, said Armando. 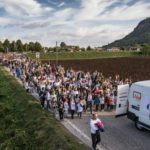 Recently almost 3,000 people participated in a march, which encouraged Armando’s group: “we believe that the popular support plus the legal and media strategy can stop this type of projects.” The project is currently on hold, thanks to the efforts made by the community. On the other hand, the struggle against the Cruz Azul group (Cycna de Oriente) in Puebla has been very active. The environmental organization Eco Tuzuapan tells about the collusion that allowed the expropriation of 250 hectares at ridiculous prices. 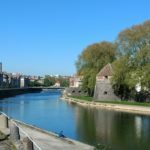 These lands, focused on agribusiness, ended up in the hands of a third party who set up a cement company – with daily detonations and permanent contamination. Information from two years ago point out that “in the last three years the contamination caused the death of five people due to lung cancer, due to the inhalation of the dust by the detonations that are made daily to extract the stony material”. Today, the local community also faces the threat that Cruz Azul intends to incinerate 4 thousand tons a day of solid urban waste from the metropolitan area of ​​Cuernavaca, but also a “recycling plant of hazardous waste” that aims to “recover and recycle” 500 tons of hazardous waste per day. The increase of waste incineration in cement plants in Mexico has negative effects on the health of the population and the environment due to the lack of measures and equipment necessary to prevent the spread of contaminants. “The problem can be summarised in three aspects: the omission of existing regulations, environmental devastation, which includes the excessive extraction of resources, and direct effects on health”, explains Brisa Carrasco, PhD in Geography at the National Autonomous University of Mexico (UNAM). A study developed by the Master’s student Eber Martínez defined the correlation between the presence of cancer in the Mezquital Valley and the pollution of cement industries. The data analysis was combined with a community mapping that gathered the perception of the population around the environmental problems. The results highlight the high morbidity due to cancer in the Apaxco area, especially the incidence in children with leukemia. While the media announced in the middle of this year how pollution broke records in Mexico City with the longest environmental contingency since 2000, a growing number of legislators of the nation have expressed their concern and opposition to the incinerator that Veolia intends to build in the city, for a cost that is around 500 million dollars. In this context, the forum entitled “Analysis and debate on the construction and operation of a plant to incinerate 4500 tons of waste per day in Mexico City” was organised in the House of Journalists of Mexico City. A full room, the space was an opportunity to deepen the economic and environmental risks of the construction of an incinerator of such magnitude, and to clarify that the contract is agreed to be carried out for 33 years, which implies 3 years of construction of the plant and 30 of operation of the project, forcing the Metro system to buy energy from this plant for the duration. In his public statements, Deputy César Cravioto, coordinator of the Morena caucus in the Federal District Legislative Assembly (ALDF), pointed out that the process has been so irregular, to the point that not even the Deputies have had access to all the necessary financial information. The high level discussions and response from the general public showed that there is a very strong interest in resolving issues around air pollution and waste management, in Mexico and worldwide. 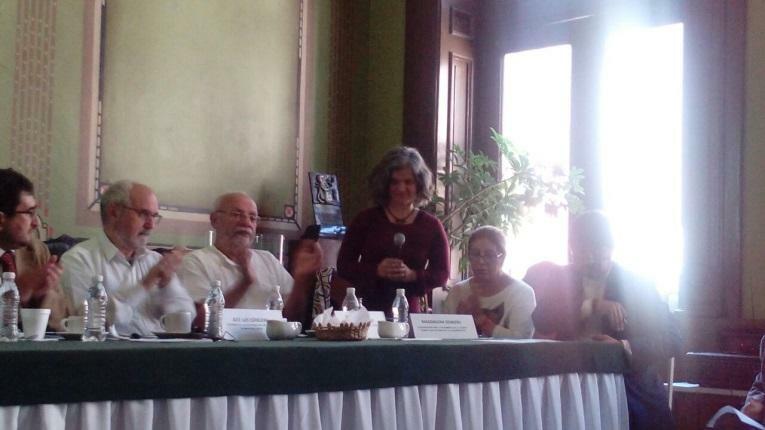 Participants concluded that the next International Gathering Against Incinerators will be celebrated in San Salvador, in El Salvador, hosted by the organisation CESTA. Magdalena is the Coordinator for GAIA Latin America. She is dedicated to strengthening the regional zero waste movement, as well as supporting community actions to eliminate contamination from waste incineration, and stop unsustainable waste disposal projects. Magdalena is the Coordinator for GAIA Latin America. She is dedicated to strengthening the regional zero waste movement, as well as supporting community actions to eliminate contamination from waste incineration, and stop unsustainable waste disposal projects.